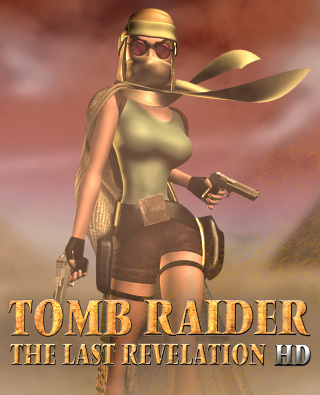 Tomb Raider IV: The Last Revelation HD allows players to experience Core Design's original and unparalleled classic game remastered with sharper textures, higher quality objects, brand new effects (such as dynamic fogs, smoother shadows and high quality sprites), additional gameplay features and much more. Experience Egypt like never before, walking (and running) through ancient tombs populated with fierce traps and deadly foes. Alexis, AoDfan, Athos, Axelia, Bradley23170, Delta, Deskj, disapearing-boy, LGG_PRODUCTION, MicheleMouse, mizuno_suisei, moodydog, Mrshina, Piega, Roli, SuiKaze Raider, THOR2010, TRJTA, VictorXD and Zellphie. While exploring the game you'll be able to collect secrets. In the original TR4 game it was really confusing, especially with the new system which allowed you to backtrack between levels. The number of secrets in each level varies, but unfortunately the stats screen didn't tell how many there are in a given level (only the total number, which is 70). Now the confusion is over, thanks to our new "Secret Counter" feature (screenshot on the right) which is now tracking the secrets level by level! It will be visible on the left side of the bottom of the screen for a few seconds after you found a secret. Once you find all the secret places in a level, the counter goes gold. 1. Does Square Enix know about this project? What do they think? Yes, Square Enix are aware of this project and they like what they see, they support fan projects like this. There aren't any signs of cancellation at all. 2. When will Tomb Raider IV: The Last Revelation HD be released? That's really hard to tell, because it's a very huge project. This is the longest and most complex of the classic Tomb Raider games. Slowly but surely we are getting there. Please bear in mind that this is a fan project, and not our primary "job". We can only take care of this project when we have some free time. 3. What kind of engine are you working with? 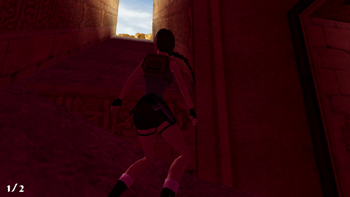 We are working with the original, classic Tomb Raider 4 engine (namely the Tomb Raider Level Editor). Since its release, fans like us upgraded the engine (Tomb Raider: Next Generation Level Editor) so now we are able to add high quality textures, objects, and more. BUT... of course the main goal is something bigger: IF everything goes well, we'll be able to port the entire project into the OpenLara engine, which supports tons of new graphical upgrades (like real-time shadows, 60fps, realistic water and wet effects, etc. ), and audio updates. Take a look! 4. Why the lack of updates? We wouldn't like to spoil most of the stuff we are working on until the release of the project. It's really hard to keep a lot of things in secret, but believe us, we'd like to surprise you. Although we'll take note to post updates more regularly in the future. 5. Will the original FMVs will be remade from scratch? No, we chose the playable FMV Lara on purpose. One of the main goals of this project is to fill the gap between the original FMVs and ingame enviroments. The original FMV (.bik) files will be converted into HD videos, though. 6. Are you going to add extra playable rooms/areas to the game? 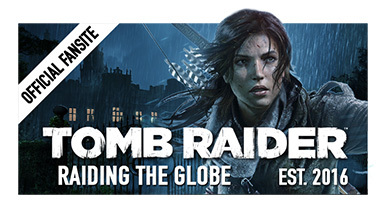 No, this is a 1:1 remaster (+ The Times Exclusive Level), not an extended remake. However we now have an increased draw distance so the game loads more of the level surroundings, sometimes more than Core intended! We expanded and improved the 'end of the world' horizon areas that Core never intended the player to see. No longer will you be looking out at an empty abyss! We kindly ask you to like our Facebook page as well for future updates.